Frederick James Cocker was born on 8 May 1881 in Perth, Tasmania, was christened on 5 Nov 1881 in The Manse, Evandale, and died in 1952 in New Zealand at age 71. 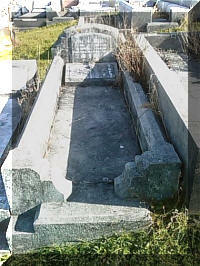 He was buried with Sarah on 29 May 1952 in Karori Cemetery, Wellington, New Zealand. Frederick married Sarah Fanny Handley, daughter of convict ↑William Handley and Mary Kenny, on 23 Apr 1901 in The Manse Fingal Tasmania. 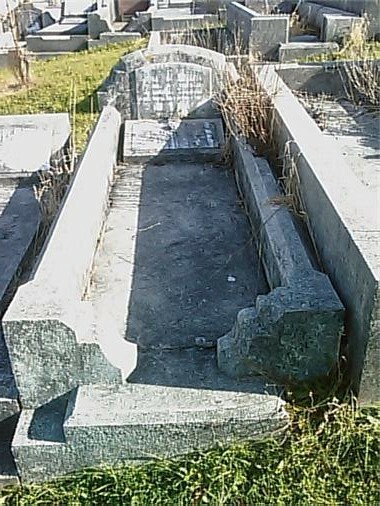 Sarah was born on 27 Dec 1867 in Fingal, Tasmania, died on 27 Feb 1942 in Wellington, New Zealand at age 74, and was buried on 28 Feb 1942 in Karori Cemetery, Wellington, New Zealand. One year later Frederick's brother Joseph George Cocker married Sarah's niece, Mary Handley. The Evening Post 27 Feb 1942 FUNERAL NOTICES. COCKER.—The Friends of Frederick James Cocker are invited to attend the Funeral of his late beloved wife, Fannie, which will leave the Chapel of K. H. Wilson and Sons, Ltd., Tomorrow (Saturday), February 28, 1942, at the conclusion of a Service, which commences at 10.30 a.m., for the Karori Cemetery. Robt. H Wilson and Sons, Ltd., Funeral Directors, 64 Adelaide Road. Frederick migrated to Wellington, New Zealand around 1905. In 1911 he was employed as an electric tram driver. His brother Albert worked on the Wellington Tramways. Frederick served with the New Zealand Forces in the First World War. He lived in Island Bay, Wellington. Frederick and Sarah had five children: Clarence (Clarrie) Frederick, Eileen Frances, Myrtle Marie, Lionel Royce and Eric Ernest. 4-Eileen Frances Cocker was born on 6 Jun 1903 in Fingal, Tasmania. Eileen married Frederick Alexander Hobbs, son of Frederick Alexander Hobbs, in 1927 in New Zealand. Frederick was born about Feb 1899 in Christchurch, Canterbury, New Zealand. Frederick was born in 1899 in New Zealand. He served in the First World War and worked as theatre attendant. St. James's Presbyterian Church, Newtown, Wellington, was the scene of a pretty wedding, when Miss Eileen Cocker, daughter of Mr and Mrs F. J. Cocker, of Eden street, Island Bay, was married to Mr Frederick Alexander Hobbs, eldest son of the late Mr and Mrs F. A, Hobbs, of Christchurch. The Rev. W. Shirer officiated. The bridesmaids were Misses W. Bradford and B. Hobbs, Mr C. F. Cocker, brother of the bride, being best man, and Mr H. Athea groomsman. The bride more a frock of ivory georgette and silver; inlet with medallions of silver lace edged with georgette rucliings, and carried a beautiful bouquet of cyclamen, hyacinths, and freesias. 4-Myrtle Marie Cocker was born on 14 Jan 1905 in Fingal, Tasmania. Myrtle married Leslie Billing in 1929 in New Zealand. 4-Lionel Royce Cocker was born on 14 Oct 1906 in New Zealand and died in 1973 in New Zealand at age 67. When he enrolled in the Second World War was a motorman in Wellington with WCC Tramways. Lionel married Minnie Sparks in 1933 in New Zealand. 4-Eric Ernest Cocker was born about Aug 1910 in New Zealand, died on 24 Sep 1970 in Wellington, New Zealand aged about 60, and was cremated at Karori Cemetery, Wellington. He worked as a motor mechanic in Island Bay, Wellington and he served in the Second World War. Eric married Rachel Morris in 1930 in New Zealand. Rachel was born in 1907 and died on 21 Jan 1957 in Wellington, New Zealand at age 50.